Andrea Gabor - "After the Education Wars"
Andrea Gabor discusses After the Education Wars: How Smart Schools Upend the Business of Reform. A Q&A and signing will follow the discussion. 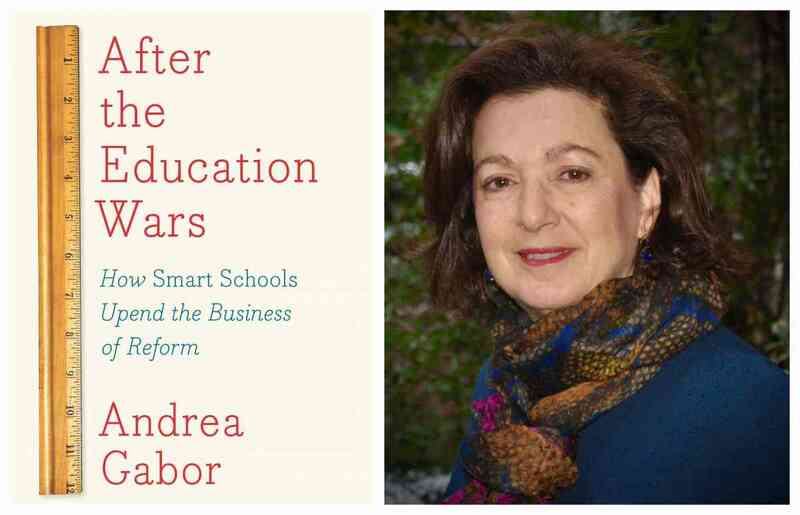 About the book: In an entirely fresh take on school reform, business journalist and bestselling author Andrea Gabor argues that Bill Gates, Eli Broad, and other leaders of the prevailing education-reform movement have borrowed all the wrong lessons from the business world. After the Education Wars explains how the market-based measures and carrot-and-stick incentives informing today's reforms are out of sync with the nurturing culture that good schools foster and--contrary to popular belief--at odds with the best practices of thriving twenty-first-century companies as well. These rich, detailed stories of real reform in action illustrate how enduring change must be deeply collaborative and relentlessly focused on improvement from the grass roots up--lessons also learned from both the open-source software and quality movements. The good news is that solutions born of this philosophy are all around us: from Brockton, Massachusetts, where the state's once-failing largest high school now sends most graduates to college, to Leander, Texas, a large district where school improvement, spurred by the ideas of quality guru W. Edwards Deming, has become a way of life. A welcome exception to the doom-and-gloom canon of education reform, After the Education Wars makes clear that what's needed is not more grand ideas, but practical and informed ways to grow the best ones that are already transforming schools. About the author: Andrea Gabor, the Bloomberg chair of business journalism at Baruch College/CUNY, is a former staff writer and editor at U.S. News & World Report and Businessweek. Gabor has written for the New York Times, Los Angeles Times, Smithsonian magazine, Harvard Business Review, Fortune, and the Village Voice. The author of After the Education Wars: How Smart Schools Upend the Business of Reform, she lives in New York City.